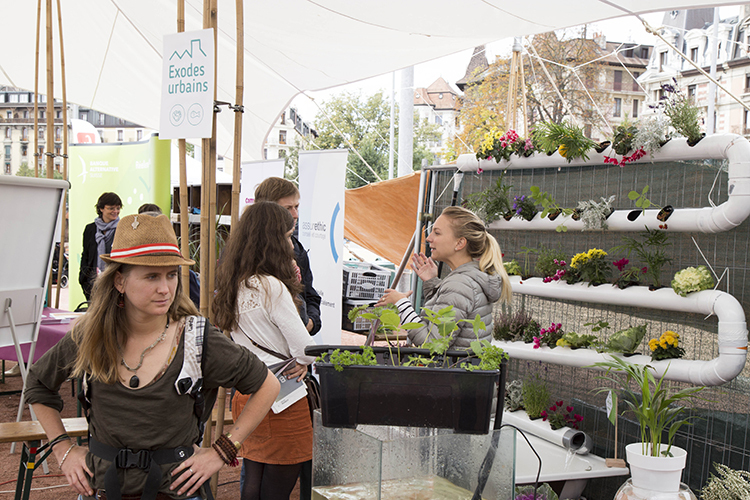 The weekend 19th to the 20th of September in Geneva marked the yearly Alternatiba Léman Festival which was centered on the theme of promoting local initiatives for climate change and the art of positively living together. 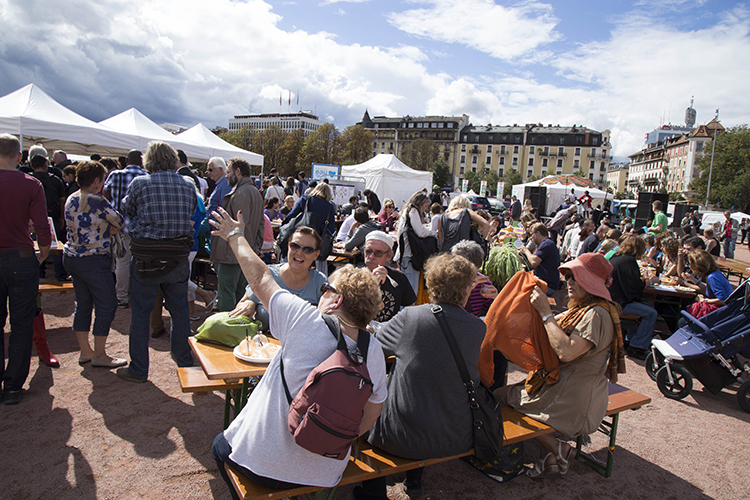 The Festival hosted conferences and debates, as well as food and clothing stands, music, movie projections and local food products. 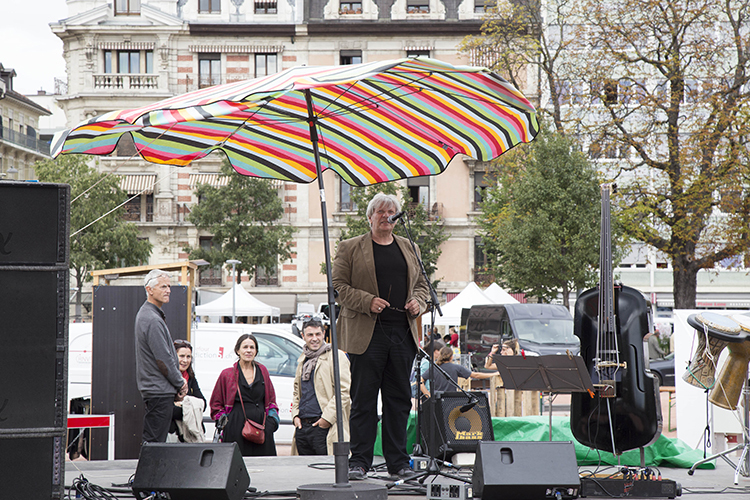 It took place on the sunny Plaine de Plainpalais, a prominent square within the city of Geneva, with events also held at the house of associations and the communal hall of the Plainpalais neighborhood. 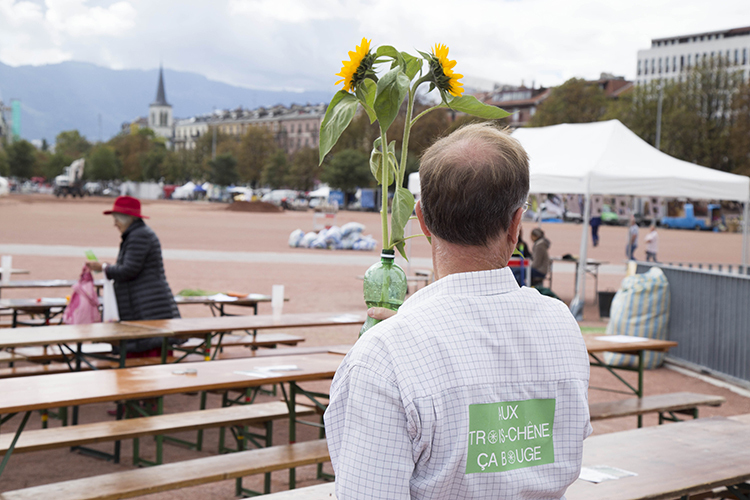 The Festival gathered around 500 people in support of local farmers, local merchants and helpful sustainable living in Geneva and the surrounding areas. 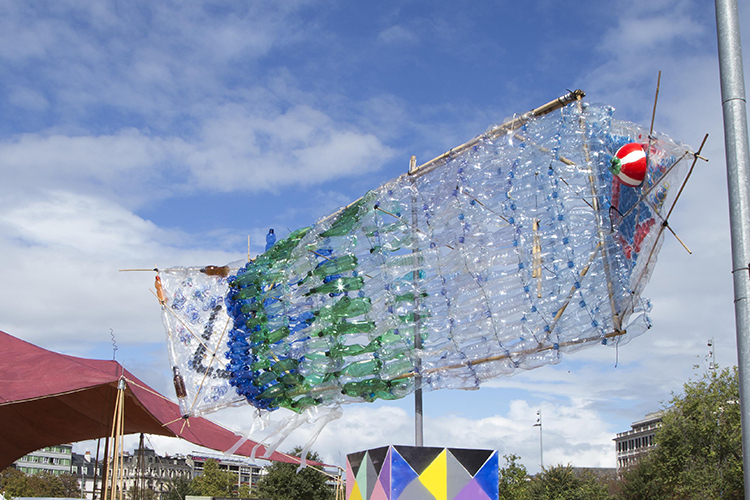 It was a true embodiment of local actions for climate and the joys of connecting for a positive lifestyle. 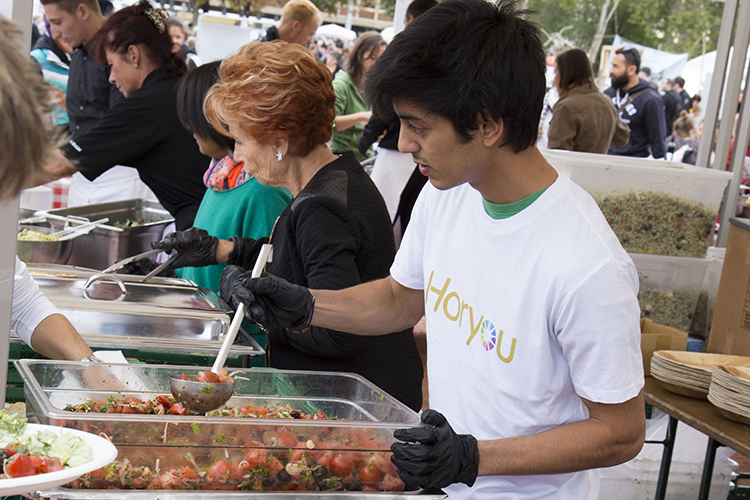 Horyou collaborated with the association and supported its “The Meal” initiative, a lunch cooked with locally produced agricultural products, with the idea to gather a large number of people from across the world to share a Meal in support of farmers and their plea for food sovereignty and access to resources, soil, water and seeds. 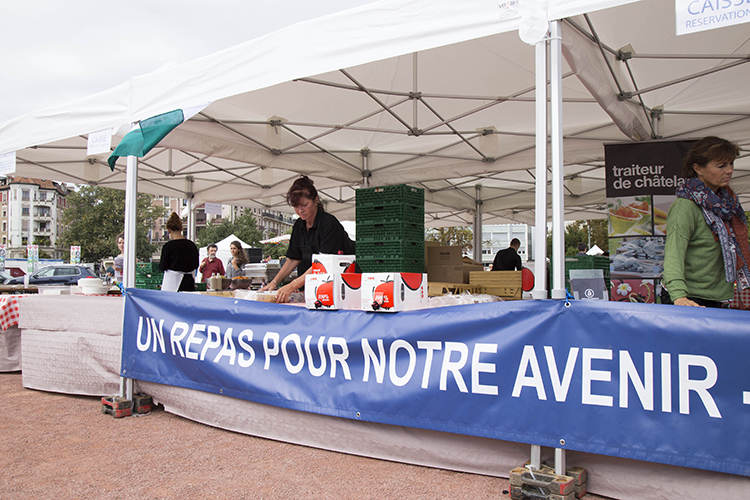 “The Meal” was held simultaneously in about 20 other locations worldwide, with the same goal of promoting consumption of local products. 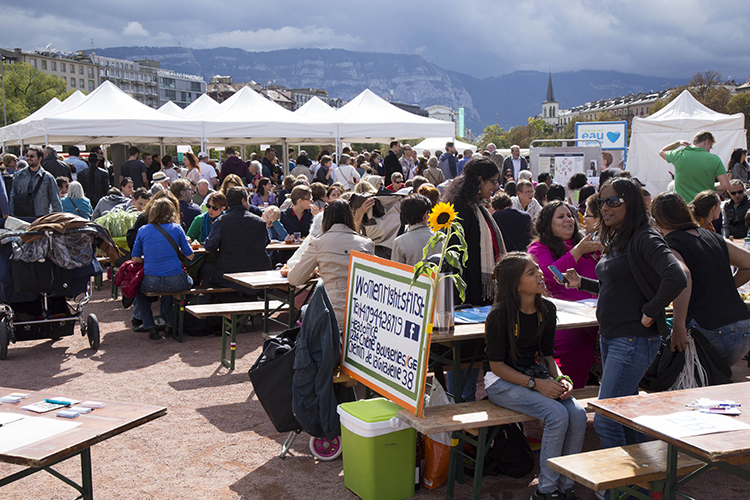 In Geneva, it delighted 200 people on the Plaine and consisted of long tables filled with fresh tomatoes, salads, gazpachos, fresh fruits and vegetables, sauces and pasta. 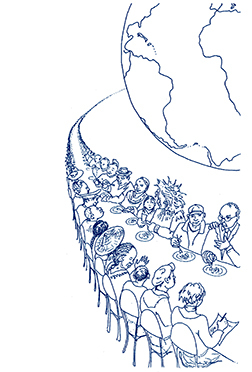 “The Meal”, a truly unifying power in its ideals and encouragement throughout the world, was thus the occasion for all participants to get together, share thoughts and build solidarity within their communities, on the spot, as well as via Skype conversations. 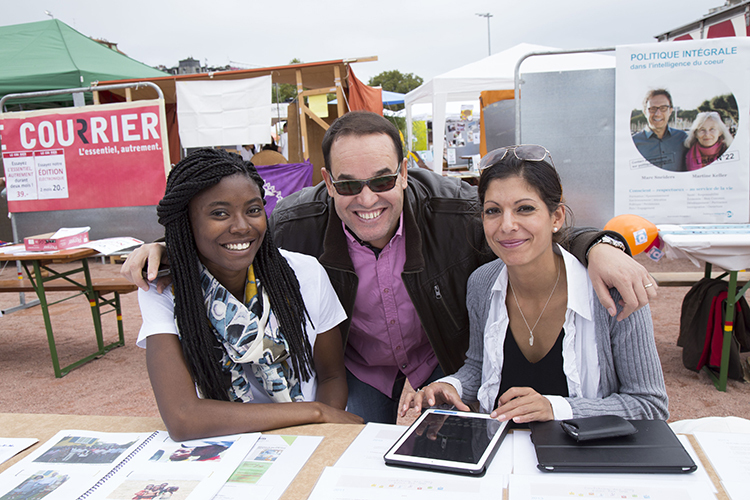 Geneva connected with Mali – led by Aminata Touré -, Morocco – led by Nicole Jeffroy -, Nepal – led by Jagat Basnet -, and Pakistan – led by a young university student called Irene Farkhanda -, to mention but a few locations. 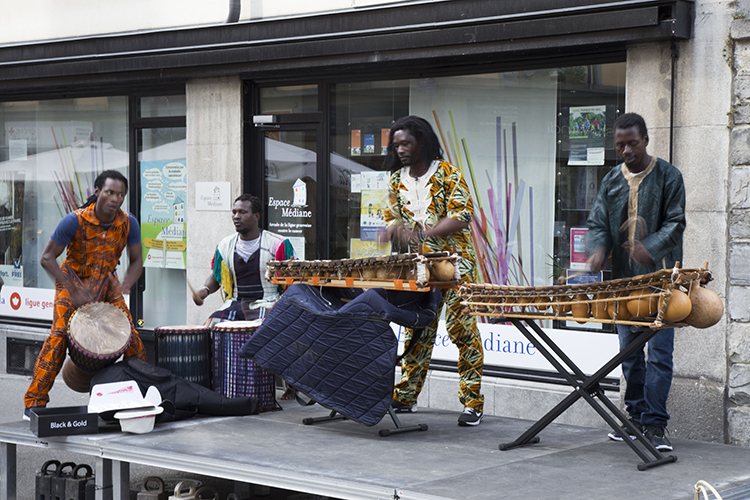 Proceeds from “The Meal” went to various nonprofits in Geneva and in Benin, as the Festival had a dedicated area for local nonprofits and various organizations. 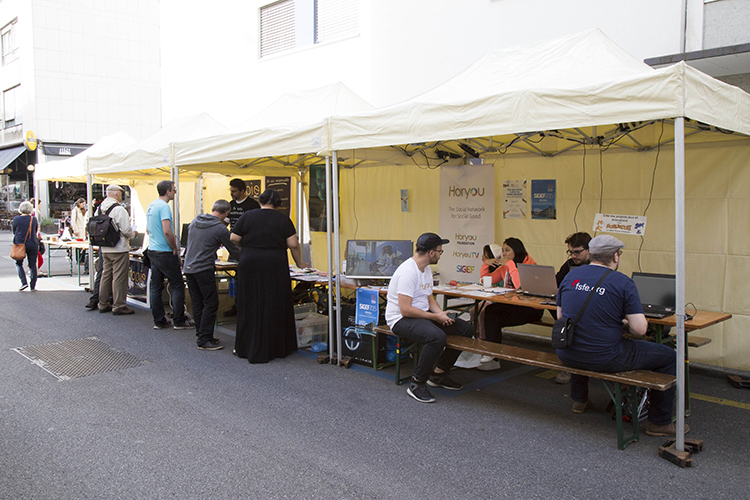 Horyou had a stand as well, and so did some of the organizations on the Horyou platform, such as One Action and Voix Libres. 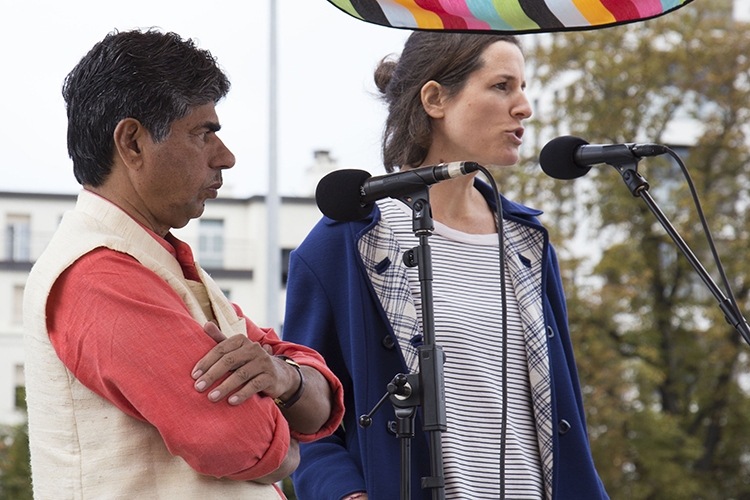 The event went on through Sunday with even more participants and visitors. 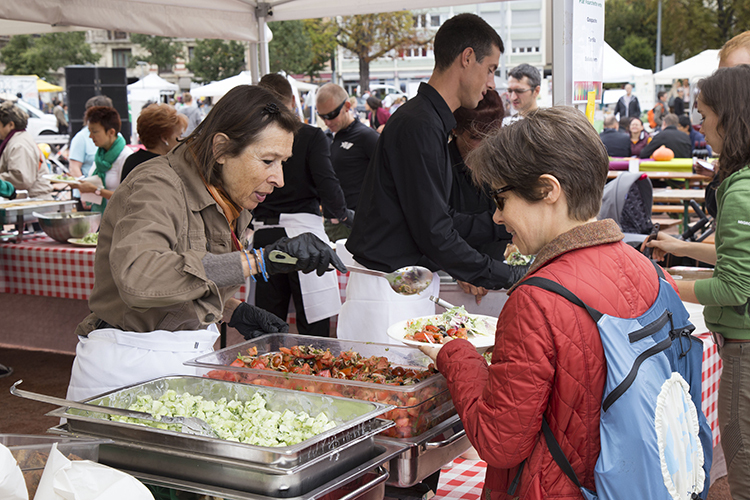 We look forward to seeing bigger local agricultural food tables, and more Meals shared in more locations across the world at next year’s festival. Horyou team member Amma with association A.R.L.E.M.